I am in the process of building this website; if you have been here before please do a refresh now to view other pages that I have added more information. Thanks for your patience! Hi, I am Linda the developer of the Tug N Hug Pet Harness Company. My business is a small home-base company. I am the only person who designs and makes all the pet products on my website. I design unique and functional pet products that give pet owners a humane and easier method of control for their pets. My pet products stand above all other pet products on the market because I take great pride in how the products are made: I sew the products to be durable so they will last for many years. 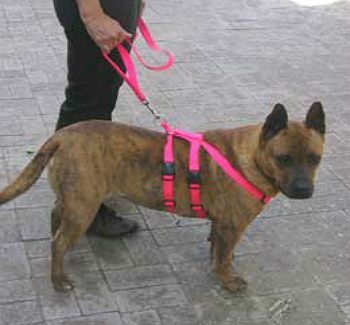 My harness design is functional product for controlling pets that pull on the leash. 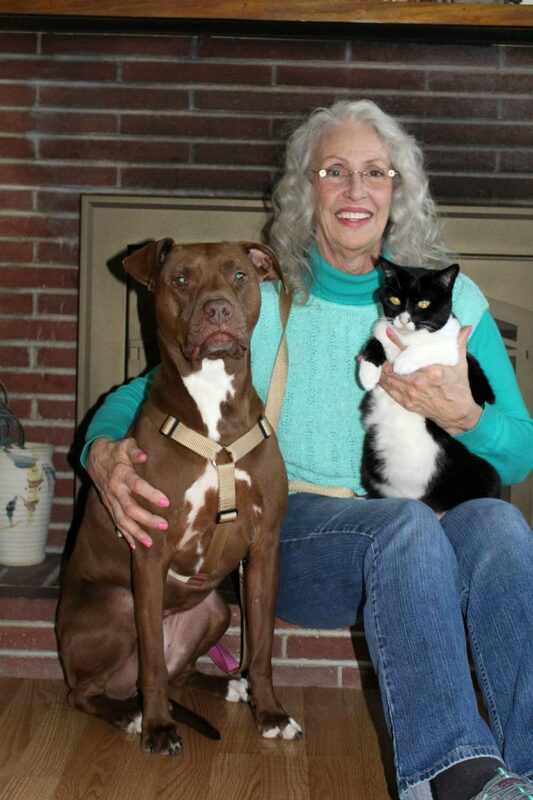 The harnesses are designed to be comfortable on your pet and “Do Not” use pain for control. Every pet Product has a unique functional aspect for each of the products designs; Humanness for pets, Safety for Pets and their Owners. Plus, Ease of use for pet owners. Thank you for the loyalty that you have shown me over the last 6 years in dealing with family illness. The love of the products I make is the reason I continue to make my No Pull Harness and the special pet accessories for your beloved babies. Thanks to my daughter Tabitha: she had medical needs for a hands free body leash for her dog and she also wanted a harness that supported her favorite team colors for the ‘Seattle Seahawks’. Thus I have added two pet products to my inventory; the ‘Jogger Body Leash’ and the two color design on the harnesses with matching leash, the ‘Titan Easy On/Off No Pull Harness and Leash Set. 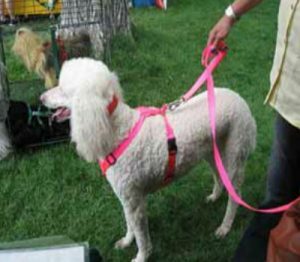 Started my home-based business in 2000 with the Easy On/Off No Pull Harness and the Dual Handle Leash. 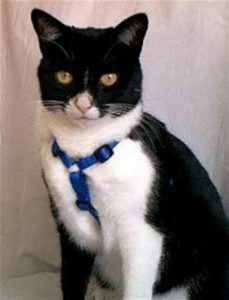 My Goals was to make the best harness on the market that was; Humane for for the pets. Safe for the Pets. Caused No Pain to the Pets. Offered pet owners an easier method of Controlling their pets. 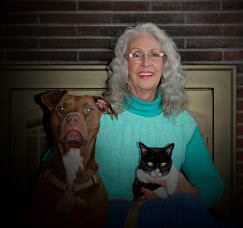 Plus, I make the all the Pet Products to be durable for many years of use for pet owners and many years of comfortable wearing for your pets. I am very proud to say I have accomplished those 'Goals'.